Get involved in National Apprenticeship Week! National Apprenticeship Week takes place from the 5th to the 9th of March 2018. It is an exciting opportunity to celebrate apprenticeships and how they benefit people, businesses, communities and our economy. 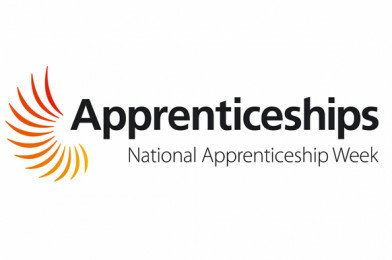 Now in its 11th year, this national week brings together everyone passionate about apprenticeships to encourage more people to choose apprenticeships as a fast-track to a great career and to business growth. The theme of National Apprenticeship Week 2018 is Apprenticeships Work to showcase how apprenticeships work for individuals, employers, local communities and the wider economy. The easiest way to support the Week is to do so on social media and encourage everyone you know to do the same with #NAW2018. Is your school in Cheshire or Warrington? All About STEM can help you find out more about apprenticeships, click here.